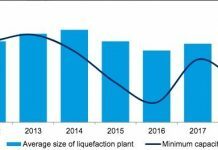 The surge of interest in FSRUs as a quicker route to market than onshore LNG regasification terminals has been much deliberated. However, each FSRU project has its own characteristics and requirements: a number of different considerations will apply to the deployment of any individual FSRU vessel. These considerations will need to be carefully analysed and understood in order to move forward with the successful implementation of an FSRU project. In this article, we identify 10 key considerations for FSRU project developers, sponsors, lenders and investors. Each FSRU project is unique. There are many permutations which depend on maritime, technical and site conditions. FSRU vessels can either be moored within a port against a berth or at a purpose built dolphin, or where water depth will not allow for a near shore option, offshore (open water). For offshore mooring, the FSRU would typically be connected to the gas export system using either a submerged buoy system or a surface mooring system. For this reason, at the conception stage of any FSRU project, specialist contractors and consultants will be required to examine the proposed site location and subsea, metocean conditions and perform feasibility studies to ensure the optimum project configuration is selected. 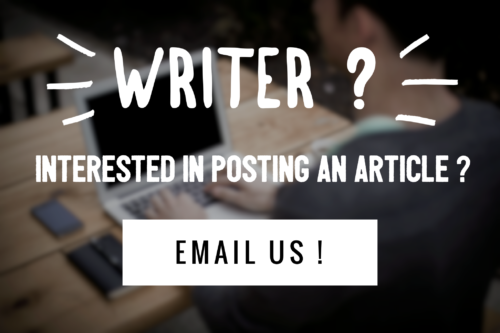 This can be a lengthy process for a first project, often taking many months to complete. For example, the conditions offshore Bangladesh in the Bay of Bengal are notoriously challenging during the monsoon period, which not only makes installation and commissioning of the FSRU very difficult, if not impossible, for three to four months of the year, but also affects which mooring options are suitable for the project. The economic viability of a proposed FSRU project may depend on the costs associated with the supporting marine infrastructure. The cost of such infrastructure will be location specific. The existing harbour facilities, the technical solution chosen (e.g. single berth, double berth or offshore mooring) and the length of the pipeline required to connect the FSRU to the gas network will all affect the capital costs associated with the FSRU project. It may also be difficult to find a single contractor willing to undertake all of the construction and operation works needed for the ‘interconnecting’ marine infrastructure. This can lead to split O&M / EPC packages rather than a single-point, turnkey EPC solution. The value of such works is often disproportionately smaller than the overall liabilities which may arise as a result of a failure to properly perform or complete such works in a timely manner. A careful assessment as to which entity or entities should assume some of those liabilities will therefore be required. In terms of FSRU procurement, project sponsors will need to decide whether to elect for a new-build vessel or convert an existing LNG carrier (or procure an existing FSRU). In January 2017, a consortium consisting of Marubeni, Sojitz and Pertamina were awarded PLN’s Jawa-1 LNG-to-power project in Indonesia,4 which will see the consortium purchasing the FSRU directly from the Korean shipbuilder, Samsung Heavy Industries.5 Having sufficient lead time before the scheduled start date of the project allows a project sponsor to opt for this model. A new-build FSRU may also introduce cost efficiencies, such as class exemptions from dry-docking during the start of the vessel’s life, reduced boil-off rates and improved send-out rates and gas consumption. However, new-build vessels may not be an appropriate solution for all projects (e.g. if the scheduled commissioning date is too early to allow time to construct a new-build). As existing FSRUs reach the end of their current charters, opportunities may also arise to charter a used vessel on a long-term or shorter-term basis: this might alleviate lead-time issues as the vessel may be deployed as an interim ‘bridging’ solution prior to instalment of a new(er) vessel. 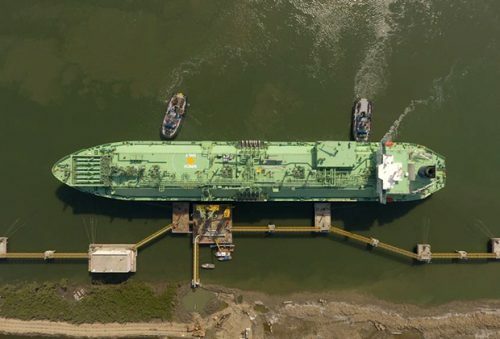 As an example, the early termination of the Golar Spirit’s deployment to Petrobras’ Pecem LNG terminal saw the charter end date move from August 2018 to 21 June 2017, thus freeing up the vessel at short notice. Alternatively, where there are no suitable existing vessels for the proposed FSRU project, some FSRU owners have decided to order new FSRUs on a speculative basis, giving them a competitive advantage in terms of delivery timescales. If the project sponsors decide to charter an FSRU, as opposed to order a new-build or purchase an existing vessel, consideration will have to be given to the duration of the charter. If the vessel is a new- build, the vessel owner may have financing commitments on the vessel which will need to be repaid from the charter hire earned during the initial stages of the charter. During the earlier days of the FSRU industry, charters were typically for a term of 10 years and the daily hire was determined in order to allow the owner to recover capital costs and finance costs over 8 years with the remaining 2 years as profit.6 In recent years, we have experienced greater flexibility being achieved by project sponsors, in some cases with charter terms as short as 5 years with options for the charterer to extend at its sole discretion. Whilst FSRU owners may charge a higher rate for such flexibility, owners of used vessels that are no longer subject to outstanding financing loans may be able offer such flexibility on a more competitive basis. For FSRU projects committed to a single customer (such as an industrial or power generation facility) the charter would typically need to be of the same duration as the underlying power purchase agreement (typically approximately 15+ years). An unforeseen delay can sometimes occur as a result of the time taken to negotiate an FSRU charter agreement. Compared to an industry-standard bareboat charter of an LNG carrier, FSRU charters typically contain more bespoke contractual terms, with liability allocations and performance requirements tailored to the needs of the individual project and charterer. The typical FSRU term charter party agreement has evolved significantly over the years, now combining traditional ‘charterparty’ provisions with more complex LNG regasification, scheduling and operational aspects. This may result in longer contract negotiations: in our experience, other than in the case of some notable exceptions, such negotiations typically range from six to twelve months through to finalisation. An additional complication for project sponsors looking to lease an FSRU is that the ultimate or ‘head’ owners of the FSRU vessel may be different to the ‘disponent’ owner chartering the vessel to the project. This head ownership structure may take the form of a master-limited-partnership (“MLP”) which is publicly traded on a given exchange. The head / disponent vessel ownership structure can often add complications to a project that (for example) requires the FSRU to be transferred to the charterer or a governmental authority at the end of the charter or TUA term, as additional head owner consents and approvals may be required. An increasing number of proposed FSRU project sites are located in emerging countries which have not previously imported LNG (such as Bangladesh). As a consequence, the port regime in these countries may be relatively underdeveloped (for the purposes of LNG imports). If so, this will require the project developers to work with the port authorities to develop a bespoke port concession and/or operating code suited to LNG import and FSRU vessel operations. Early engagement with the relevant port authorities will also be important to ensure that the proposed FSRU for the project is compliant with the eventual port code, conditions of use and regulations. This can be a lengthy process and will need to be factored into the project timeline. In many countries, the approval and permitting regime that needs to be navigated prior to deploying an FSRU is complex. This may require a number of different licenses and permits relating to (among others) environmental impact and management, marine operation, gas processing and trading, employment/social security of shipboard personnel and often a general business or commercial licence. To ensure that all necessary permits can be issued for construction and subsequent operation, the project developers will need to work closely with the necessary permitting authorities. Finalising and obtaining all the requisite approvals can take a considerable amount of time. In some cases, new laws and fiscal regulations may need to be passed to cover the use and import of LNG. It will also be important to identify at an early stage which party or parties are responsible for obtaining which permits and approvals, as well as how the overall permitting ‘risk’ in the context of political force majeure, for example, should be allocated under the FSRU time charter party or bareboat charter. Different countries also have different taxation regimes which can alter the project costs and the contractual structures which the project sponsors seek to implement. In some jurisdictions, the tax treatment of the bareboat component and the O&M component differs, which may result in a split contract structure being adopted. In other jurisdictions, import duty is imposed on the vessel and the equipment in addition to VAT. These up-front costs will need to be allocated between the parties and adequately budgeted for. The project developer will usually enter into a port services agreement for the provision of tugs and support services with a third party provider. It is important not to underestimate how long it can take to negotiate port services, particularly as the “risk vs. cost” equation under the port services contract is likely to be disproportionate. To complicate matters further, the port services provider may be unwilling to take on significant levels of liability under the port services agreement, notwithstanding the detrimental impact that the project sponsors may face as a consequence of the port services provider’s delay or non-performance. Other difficulties may arise, in particular, in countries where the chosen port services provider has no previous experience in that country. In such a case, the port services provider may be unwilling or unable to deliver all of the required services. For instance, pilotage services often require experience of the local waters which may make it more difficult for pilots from other jurisdictions to operate in the new territory. It is conceivable that an FSRU project will include different financing arrangements for different component parts of the project (e.g. head owner, disponent owner, marine infrastructure developer, terminal owner, port authority). The interplay between the different financing groups will be a critical consideration as it may introduce complex intercreditor issues such as security arrangements, termination and enforcement actions. Ideally, a more holistic financing structure would be implemented with one lender group or similar lender groups involved in the financing of different components of the project. However, that structure may be more difficult to implement on integrated LNG-to-power generation projects, where the IPP, pipeline and FSRU facilities may be, or may need to be, financed separately. Whilst FSRU vessel financing has traditionally been on a corporate finance basis, project financers involved in the financing of other parts of the project (such as the marine infrastructure, for example), will often look to insulate the borrower entity from project-related risks. This may in turn make the process of negotiating the relevant project and financing agreements more complicated. The negotiation of supplemental documentation such as direct agreements and quiet enjoyment letters between the lenders and project sponsors and owners can also add to the time taken to ensure that all stakeholders are comfortable with the overall project structure. If a sponsor is considering investing into an existing FSRU project, it will be important to consider the timing of the investment and, in particular, whether the investment is made before or after the commissioning of the FSRU vessel at the project site. Depending on the investor’s risk/reward appetite, it may (or may not) be willing to share in the risk of delays during the construction stage of the project or failures which arise during the FSRU acceptance tests (by assuming a proportion of the resulting delay liquidated damages). Other investors may look to the FSRU owner to bear the risk of delays during this stage of the project, as the FSRU owner may be better placed and have the relevant expertise to manage the construction, delivery and commissioning process. As a matter of negotiation, a project sponsor looking to invest in the project before commencement of operations may seek to limit its exposure to liquidated damages in the event of any delays (to reflect its proportionate JV percentage interest share) given that the FSRU owner will have been responsible for selecting the shipyard and supervising the construction of the vessel. 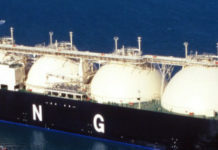 Mitsui & Co. Ltd.’s investment into the BW entity providing the BW Integrity to an LNG import project at Port Qasim (Pakistan) was the first investment of its kind into an operational FSRU project and may serve as a replicable model for non-shipping companies wishing to participate in the FSRU industry. An alternative structure, with obvious benefits to the project sponsors, is for the project company to order or purchase the FSRU and/or FSU and separately contract a shipping company (with the requisite expertise that the project company may lack) to operate and maintain the vessel. This was the structure which was adopted by Swan Energy and Mitsui O.S.K. Lines for the FSRU/FSU LNG import project planned at Jafrabad, India.7 This allowed the project company to receive the benefits of the FSRU operator’s experience and expertise (including during the construction of the FSRU, where applicable). 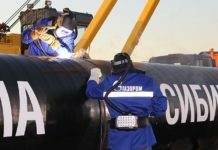 However, this structure may give rise to unforeseen complexities, in particular in relation to the interface between operating and charter contracts and how matters such as the liabilities of the parties and the responsibility for the performance of the vessel / regasification services are allocated. 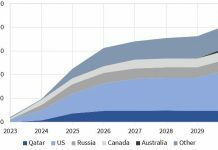 The growth of the FSRU industry during the course of the last few years has allowed a number of LNG import projects to come online in timescales and at costs which may not otherwise have been feasible. 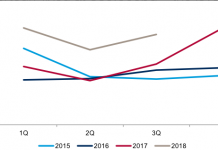 There is therefore good reason to expect the industry to continue on its current growth trajectory in 2018. Whilst it is by no means a new industry, the challenges and complexities involved in executing these floating regasification solutions are not always foreseen and in some cases are still being learned. The ‘plug-and-play’ model sometimes described in the industry may not always be achievable. Scrutinising the project risks and factoring in the potential for complexity and delay at the outset should increase the likelihood of a successful project implementation, thereby allowing the parties to maximise the benefits of procuring an FSRU for the project as a whole. Previous articleIs Gas Global Yet?